This warm winter drink will fill you with holiday Spirit. In stainless pan, melt butter over low heat, then remove from heat. Whisk in ingredients, in order, one at a time: brown sugar, confectioners sugar, cinnamon, allspice, nutmeg, and then ice cream. Ensure each is well blended before adding next ingredient. Transfer to resealable plastic container and store in freezer. Prepare boiling water. Mix batter by hand before using. In 10-12 oz coffee cup, add 1-2 tablespoons batter. 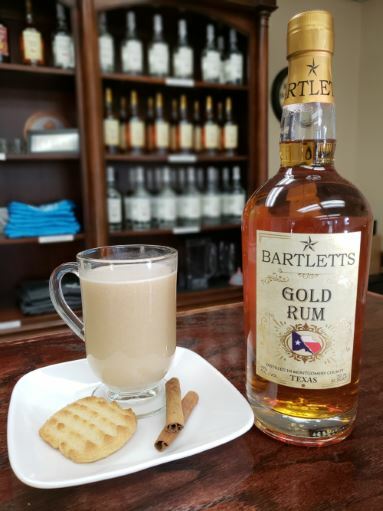 Add 1.5 oz BARTLETTS GOLD RUM and mix in cup. Top with boiling water. Mix and serve. Optional: add dash of cinnamon or nutmeg on top. This refreshing tropical drink takes you straight to the islands. 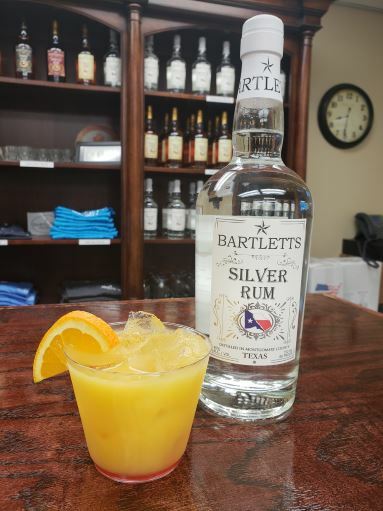 In a cocktail shaker, add 2 ice cubes, 1 shot BARTLETTS SILVER RUM, 3 oz. orange/pineapple juice, and 2 tsp. orgeat. Shake well. Pour over ice in cocktail glass. Add dash of grenadine and garnish with orange slice.